Is the Red Fort, um, red? The easy answer is that, yes, it certainly is. Stroll around to the other side–Ring Road from Rajghat towards Kashmere Gate‒and you’ll discover that the Delhi monument is, in fact, pale white. Now of course it’s hardly surprising that our Prime Ministers deliver their Independence Day speeches right out front, where the bastion is resplendent with its red sandstone ramparts and all. But do consider the more neglected backside. 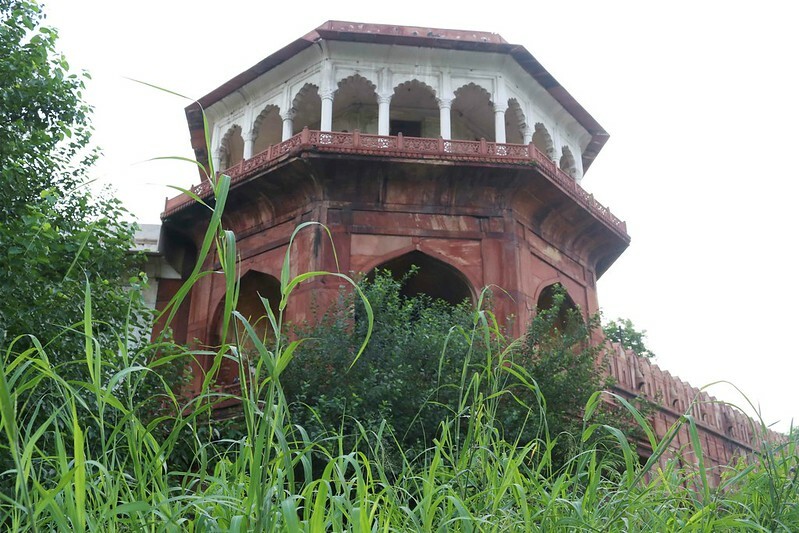 It, too, sports sprawling grounds and greens and, better still, you can actually view the innards of the Fort, built by Emperor Shahjahan as his palace when he transferred the capital to Delhi in 1638. 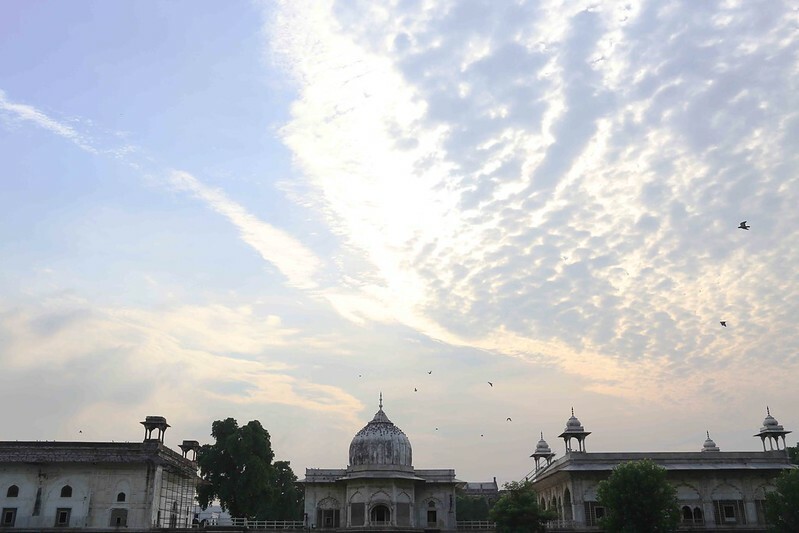 You’ll get the chance to peer at the domed white structure in the very center, that was the emperor’s very own apartment, the Khas Mahal. 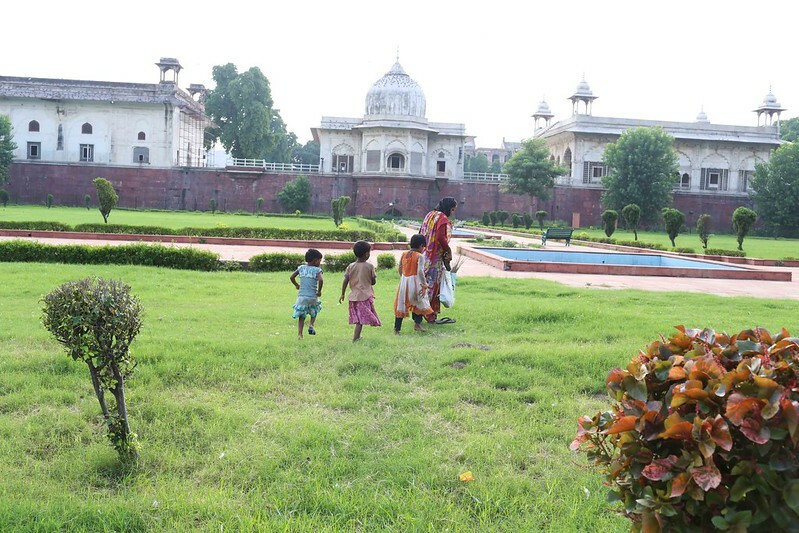 Just to the right was his harem, the Rang Mahal. Then there’s the Diwan-e-Khas where the great moguls granted private audiences to VIPs while perched on the peacock throne. The Ring Road perspective puts the Red Fort in a new light, or, rather another color. Barely anything except the East-facing ramparts glimpsed from behind trees and bushes appears to be red from here. “In building the Red Fort, Shahjahan continued the red-white contrast used by Akbar to such great effect at Humayun’s Tomb, with red sandstone providing the fortifications and enclosures and white marble used for prominent structures,” says architect Ratish Nanda. As project director of the Aga Khan Trust for Culture, he helped restore Delhi’s Humayun Tomb complex. Indeed, in 2011, it was in the news that the Archaeological Survey of India (ASI) would be repainting a Red Fort gateway from red to white lime plaster, apparently its original colour. 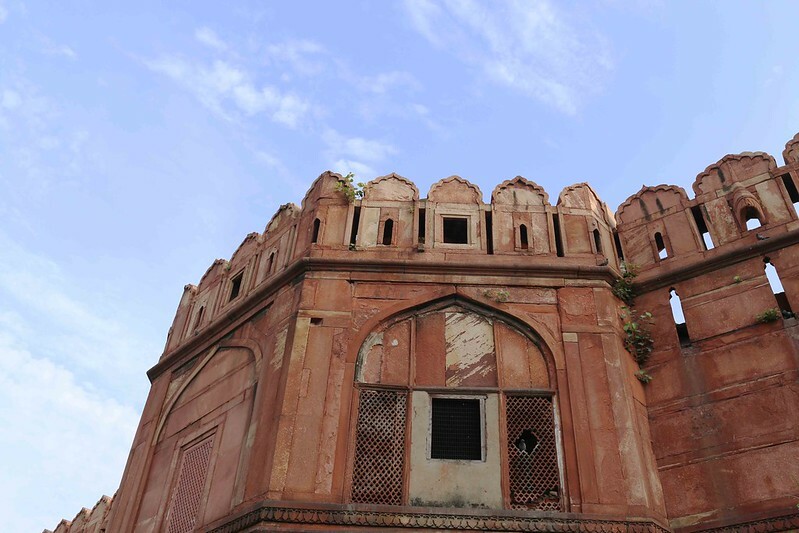 The UK-based Telegraph newspaper quoted the then head of the Delhi circle of ASI as saying that “the ‘Red Fort’ is a ‘misconception’ because although its exterior ramparts are red sandstone, ‘more of the Red Fort is white than people realise’”. 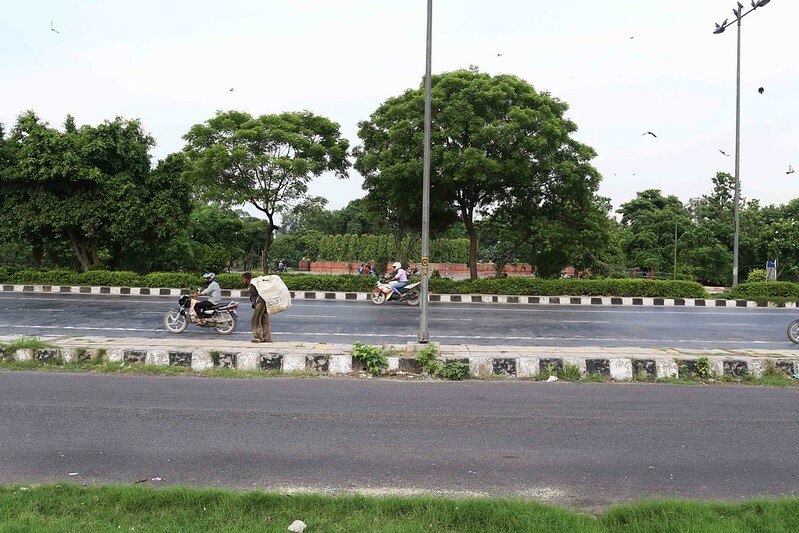 As any self-respecting Delhiwalla will tell you, this stretch of the Ring Road was originally a riverbed. Way back when, the Ring Road was the Yamuna River, in fact. 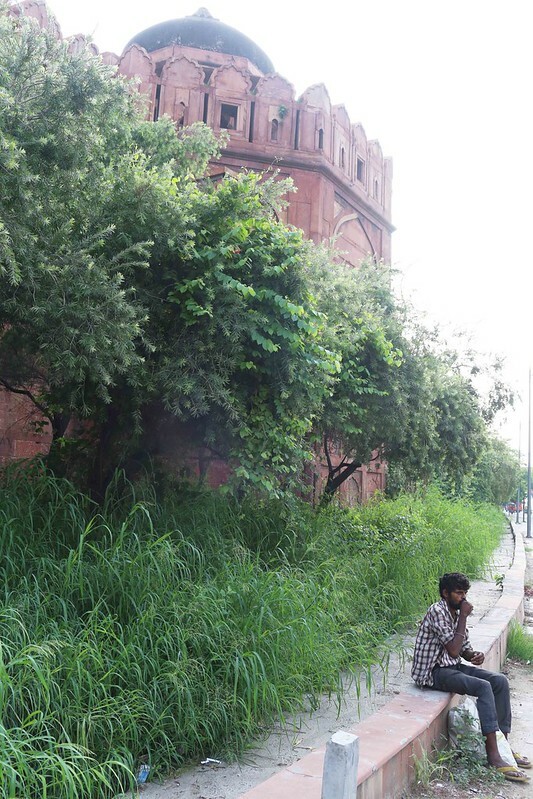 It’s said that humble Delhi folk would fish from the windows of the Red Fort until the river itself got caught on. It changed its course in 1857, diverting off to the east. Fortunately the polluted river now flows far from the Fort, and is separated not only by the Ring Road but also by a green ribbon comprising the memorials of the great and the famous, including Mahatma Gandhi in Rajghat. 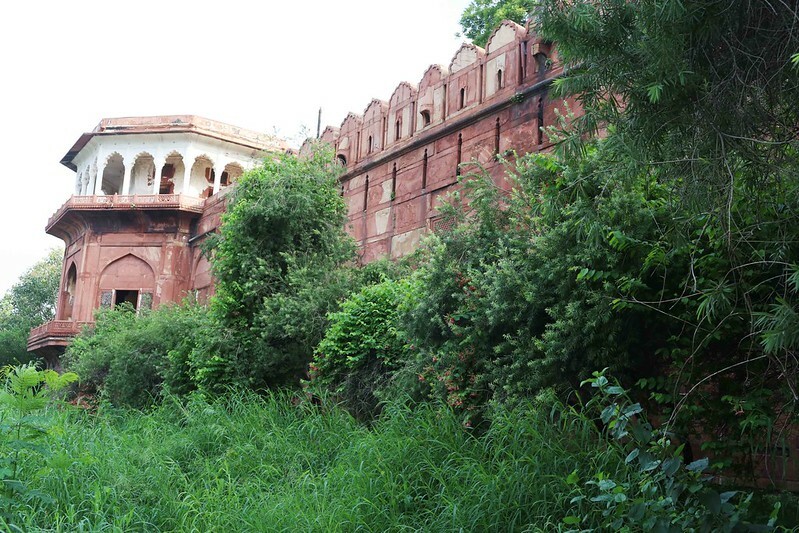 The Fort itself is bordered by Dilli Chalo Park. Named after the famous call raised by freedom fighter Subhash Chandra Bose, the garden was landscaped in 2003 by Jagmohan, then minister of Tourism and Culture. Till then, it looked almost derelict. It was a site for demonstrations, and the site for the Chor Bazaar, where you could get everything from old gramophones to car tyres for a bargain—all stolen stuff, they say. Today, the park’s gates remain closed due to security concerns. All you see are clipped grass, benches, dry fountains, a couple of policemen and scores of pigeons. And of course you may spot a gardener or two. The Delhi Walla exchanged greetings with a red sari-clad woman who cuts the grass. It was evening. and she was walking home barefoot to a nearby slum with her little girls. 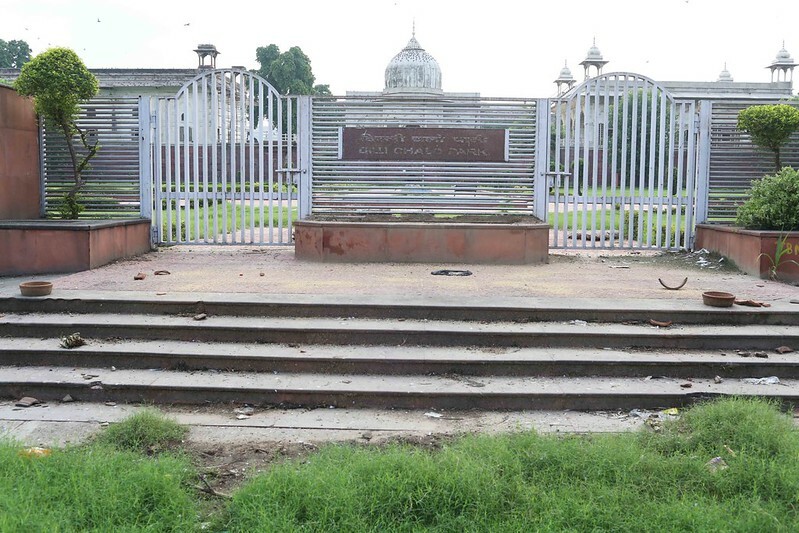 Opposite the park is Vijay Ghat, the memorial to prime minister Lal Bahadur Shastri—a popular destination for the city’s romantic couples, who meet here away from prying eyes. 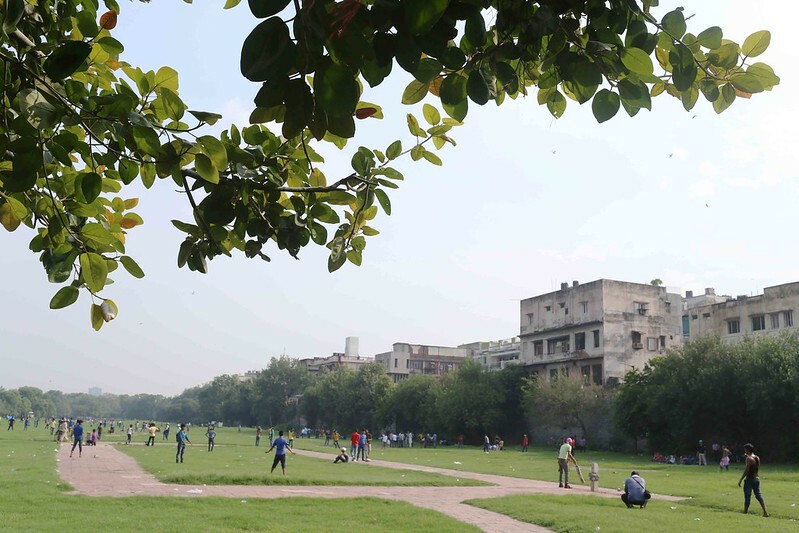 Decades ago, Dilli Chalo Park was a mosquito-infested swamp peopled by the homeless. “I had got the area between the Ring Road and the Red Fort cleared of squatters”—boasted a Delhi administrator in his memoirs. Dharam Vira was briefly the Capital’s chief commissioner during the 1960s and was also once the principal private secretary to prime minister Jawaharlal Nehru. Long before it was landscaped into a park, this cordoned area was a living stage for “Incredible India” propaganda, appealing to foreign tourists milling around the Red Fort. “During the day the place was taken over by nomads,” says the elderly Delhi chronicler R.V. Smith, about Red Fort in the 1960s. “Some nomads would perform acrobatics by walking the ropes and some would come with their performing monkeys and bears which would salute ‘salam-namaste’ to the excited foreigners looking on from the Red Fort.” Mr Smith says that the tourists would take photographs and throw coins wrapped in currency notes as tips. Little do contemporary tourists know about the other side of the story. They need only walk down the lane paralleling the highway. You’ll still hear traffic, but the area nonetheless seems enveloped in silence: seemingly miles away from the teeming city. Now and then a humming cyclist passes by, or perhaps a rag picker mumbling to himself. 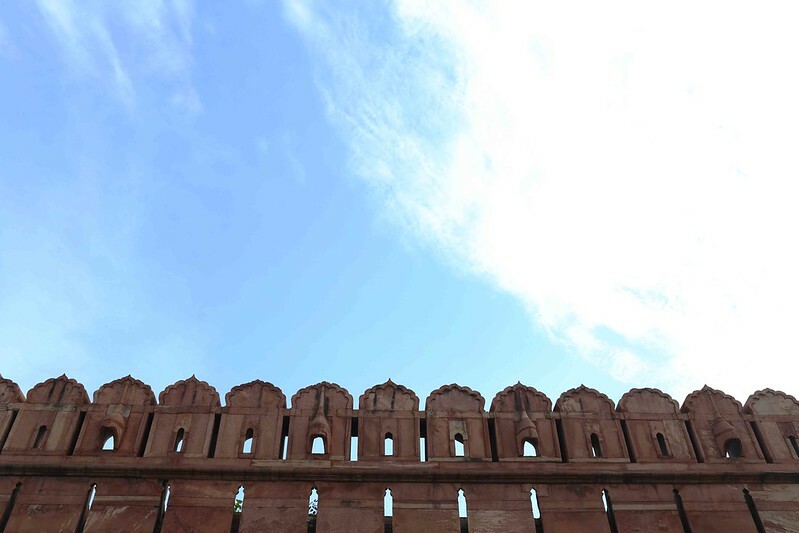 The walk takes you past sections of the Red Fort wall where you can inspect carvings on the arches and balconies from extremely close quarters. Further ahead is the stunning British-era Mangi Bridge connecting the Red Fort to the little-known Salimgarh Fort. The Indian Prime Minister traditionally delivers the annual Independence Day address from the red ramparts. But why not break with tradition? By addressing from the white side, the PM would then be facing East Delhi and its suburbs – home to large numbers of migrants in search of a new beginning: a concept that every dynamic leader likes to endorse. Very much enjoyed. As usual. Very nice pictures. I have seen the backside from the road, but could never take pictures.